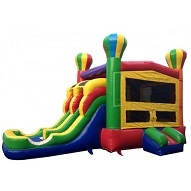 This is one of our most popular choices. 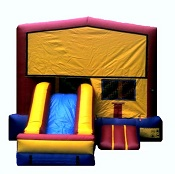 Primary in colors it's a favorite with both boys & girls while great for all events & ages. 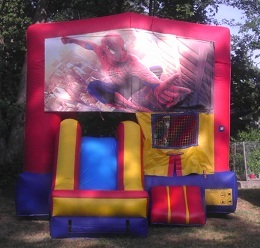 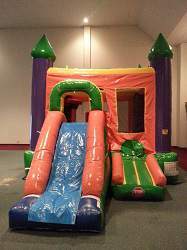 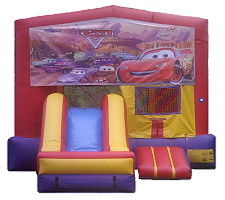 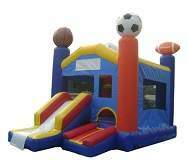 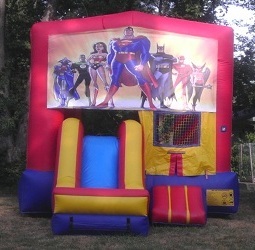 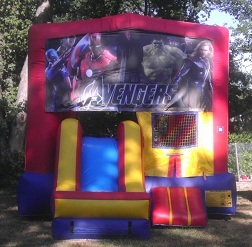 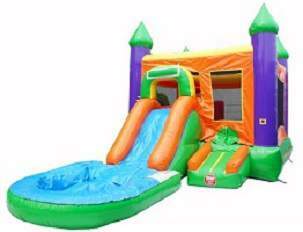 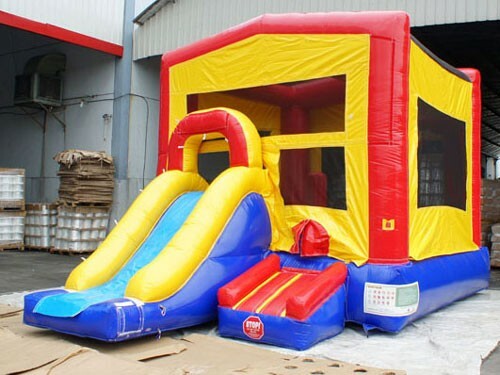 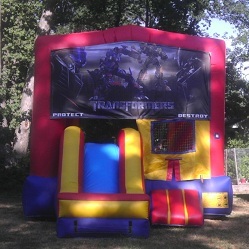 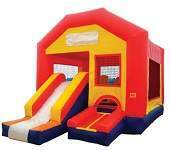 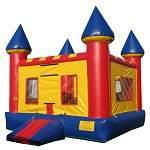 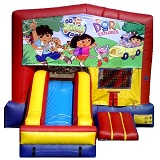 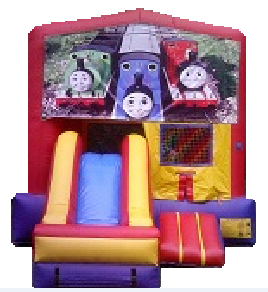 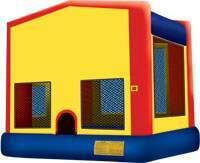 This one is a traditional bounce house available in many different popular character themes. 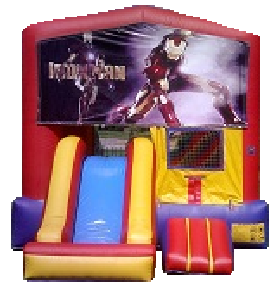 Any favorite character banner included.